MANILA, Philippines - Japan is the second largest music market in the world yet it seems there is lack of concerted efforts to promote Japanese artists and their music in other countries. It has a long roster of talented singers from solo artists Namie Amuro, Ayumi Namasaki and Kumi Koda to bands likes AKB48, Arashi, EXILE and SMAP. J-pop and Japanese culture will get a big help with the international launch of MTV 81 (www.mtv81.com), an English-language website that will showcase Japanese artists and pop culture to international audiences. According to Viacom International Media Networks (VIMN), MTV 81 will offer "original content including live performances, artist profiles, news and interviews with those shaping Japanese pop culture and trends." The number 81 refers to Japan's international calling code and MTV 81 will target 18-34 year olds worldwide. It will leverage MTV Japan’s connection to music, fashion and pop culture while offering an internationally focused insiders point of view on what is shaping the pop culture landscape in Tokyo, Kyoto, Hiroshima and other cultural hot spots. MTV has MTVK, an English-language website dedicated to K-pop so it comes not a surprise that a website for J-pop followed suit. Bulletin Entertainment asked an MTV spokesperson if the launching of MTV 81 had to do with growing popularity of K-pop and other hallyu contents in many countries. "We see MTV 81 as an untapped opportunity as J-culture is also growing in popularity and Japanese artists are developing a larger overseas following," the spokesperson said. She said MTV has been supporting K-pop culture in the last several years. "MTV has been supporting the K-pop culture for years, profiling Korean artists in international markets. In Asia, MTV SEA--seen in Singapore, Malaysia, the Philippines and other countries--has dedicated k-pop programming as do MTV Japan, MTV China and MTV Taiwan. We have editorial on the sites carrying K-pop related content but not dedicated sections as of today," she told Bulletin Entertainment. 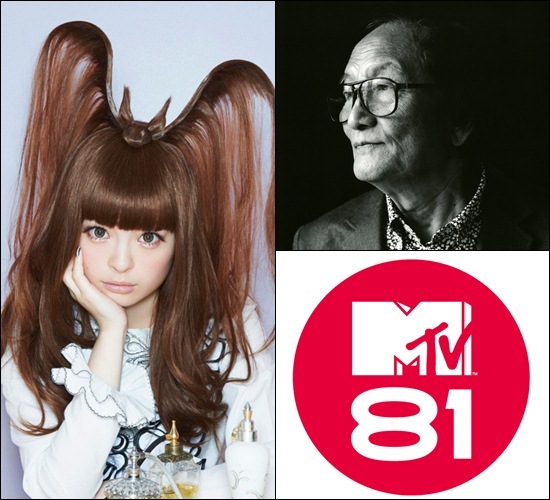 In line with the official launch, MTV 81 will have an exclusive interview with 80-year-old Isao Tomita, dubbed as the father of Japanese electronic music. Tomita's latest work, “Symphony Ihatov,” debuted this month at Tokyo Opera City and featured "Hatsune Miku," the immensely popular computer-generated avatar from Yamaha’s singing-synthesizer software program, Vocaloid 2. Tomita talked to MTV 81 about his latest work, using the latest music technology in an orchestral environment, and how the world of author Kenji Miyazawa inspired the symphony. “MTV 81 was designed to provide a curated connection to Japanese pop culture for audiences all over the world. MTV’s insights and editorial expertise can cast a bright spotlight on the artists and influencers who are shaping the Japanese pop culture landscape and take it out to a wider, global audience,” said Ji Hee Nam, VIMN Asia vice president of digital. MTV 81 was created in collaboration with Dentsu Inc., Japan's largest advertising agency.